This month, Beacon Hill Partners is excited to host another exciting installment of Startup Stir. 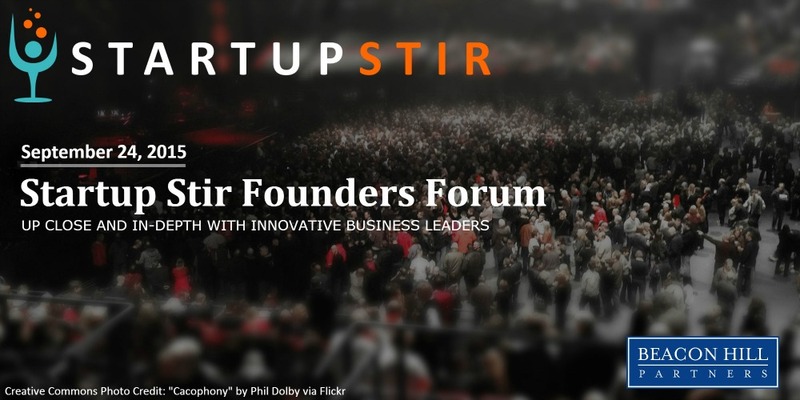 We’re hosting some of the country’s most innovative startup founders and business leaders in a very special multi-city Startup Stir Founders Forum. From 6:30 to 7, you’ll enjoy heavy hor d’oeuvres and complimentary libations as you hob nob with founders, investors and academics. From 7 to 8, we’ll sit down at the beautiful WeWork offices to get a dispatch from the front line of the Boston innovation community from the movers and shakers who are making it happen.